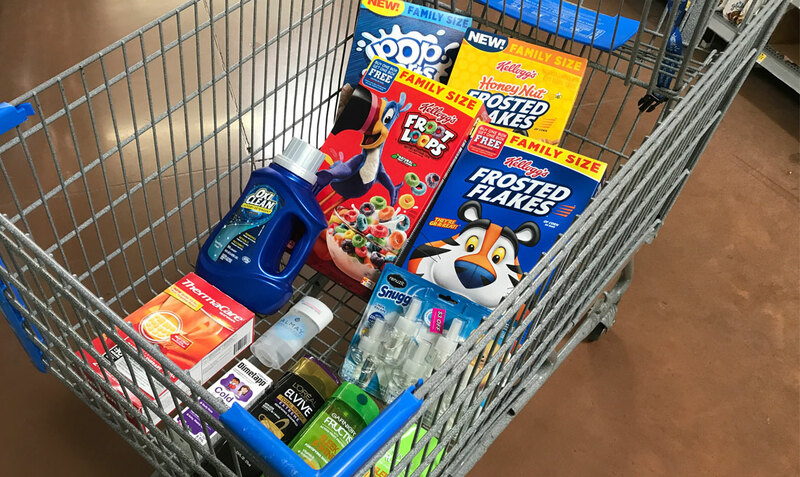 Walmart Shopping Haul: I Saved Over 60% on 15 Items! I scored some amazing deals at Walmart this week. I bought 15 items valued at $61.03 for only $21.63, a savings of 65%. I bought popular items like cereal, laundry detergent and shampoo. Head to Walmart today and be ready to save! The Base Culture Brownie and two boxes of cereal are not pictured. See the ThermaCare HeatWrap deal here. See the Children’s Dimetapp deal here. See the L’Oreal deal here. See the Base Culture deal here. See the Almay deal here. See the OxiClean deal here. See the Garnier deal here. See the Renuzit deal here. See the Kellogg’s deal here. TOTAL COST: $21.63 for all 15 items worth $61.03! The post Walmart Shopping Haul: I Saved Over 60% on 15 Items! appeared first on The Krazy Coupon Lady.